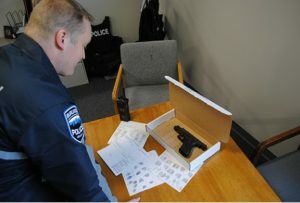 After five years of service with the Burlington Police Department, officers are eligible to apply for a transfer to the Detective Service Bureau. The Detective Service Bureau is responsible for investigating a wide variety of crimes and complex investigations ranging from financial crimes to homicide investigations. The Detective Bureau also has a full time drug unit, which is dedicated to conducting targeted drug enforcement in Burlington. The Detective Bureau assignments also include positions with the Chittenden Unit for Special Investigations, the DEA task force, Internet Crimes Against Children and the US Marshals. 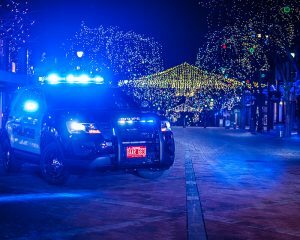 This specialized team of officers provide a unique opportunity to assist with both Uniformed Services and Detective Services. It is a one year long, plain clothes assignment that allows the officers to adjust their focus based on the current crime trends and needs of the department. Day to day operations vary and can consist of assisting Patrol with various property crimes/burglaries, assaults and robberies or can consist of assisting the Detective Bureau with in-depth drug investigations. The Street Crimes Unit also offers the opportunity for officers to remain proactive and monitor for street level drug crimes as well as crimes in progress. 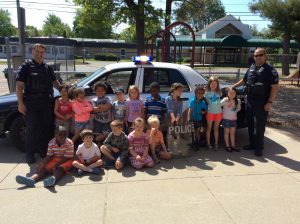 The Burlington Police Department covers over 10 schools in the district. This school district is made up of a diverse student body with over 25 different first language speakers. Our School Resource Officers (SRO’s) have been a fundamental facet in our department’s Community Policing strategy for over 20 years. Officers with a minimum of 3 years of patrol experience can find themselves eligible to become part of this team. The SRO position is a full time position and allows officers the ability to become more invested in the daily lives of our school community. The SRO position allows officers to be mentors, coaches, and advocates. Their position by name makes them an invaluable resource in strengthening our community and department. 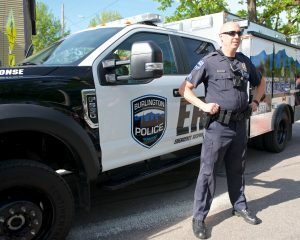 The Burlington Police Department is Vermont’s largest Municipal agency, with 105 Officers. The Uniform Service Bureau, which is responsible for patrol of Burlington, is the core of the agency. Officers conduct pro-active neighborhood patrol, respond to calls for service, conduct foot patrols and traffic enforcement. Uniform Patrol’s primary function is to ensure the safety of the public, all while adapting to the evolving needs of society. Patrol officers routinely respond to dangerous and complex situations as well as engaging in community outreach and caretaking. There are many specialized units in the Uniformed Service Bureau, which include The Honor Guard, Motor Unit, Bicycle Patrol, Crisis Negotiation Unit, Canine Officer, and numerous Instructor Positions. 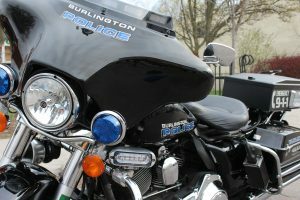 Motor Units have been part of the Burlington Police for decades and are essential to our department’s community engagement. Members of this specialized unit participate in rigorous training preparing them for obstacles they’ll face while patrolling the streets of Burlington. Our motor unit supplements patrol operations and participates in many different functions from parades, to traffic safety initiatives and have been directly involved in dignitary escorts to include, the President of the United States. Currently, we ride Harley Davidson, Electra Glides. 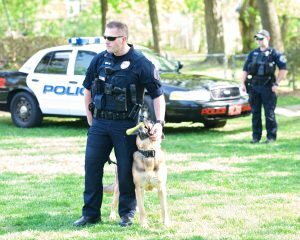 The Burlington Police Department Canine Unit consists of two Canines trained in Narcotics detection, criminal and search and rescue tracking, evidence recovery, building searches, suspect apprehension and handler protection. Our Police Canines conduct numerous public demonstrations yearly and is recognized as one of the most highly decorated units in the state, consistently winning top Narcotic detection team of the year, overall Canine Team of the year, and numerous tracking and apprehension awards. Two of our previous canine teams are in the Vermont Police Canine Hall of Fame.